I’ve read three of John Green’s other books – Looking for Alaska, Paper Towns, and The Fault In Our Stars – and let me say, they were cool but seriously cliché and kinda mediocre. I know many people feel the same way about his books but even if you do not like Green’s books or have never thought to give him a go. Give this book a go because the experience you will have while reading this book is insane as you are pretty much inside another person’s head and spiralling with the main character, thinking your thoughts over and over. It’s chilling and dizzying but a book I couldn’t put down. This review is going to be pretty much just a summary of my major thoughts over the 11 days I was reading this book. If you have read a couple of my reviews, you may know that I don’t, or don’t like to read the blurb of a book before I read the actual book. I tend to hear feedback from people about the novel, or small snippets and I will buy the book then read it months later forgetting what it is about. When I first began the book, I didn’t know it was about a girl with a ‎mental illness, and since the novel was written from the protagonist, Aza’s point of view, it was very shocking at first to be inside the mind of someone with compulsive thoughts and habits. This made me worry more about those compulsive kind of thoughts I’ve experienced on the off occasion, and I had to tell myself that she is not me. She is she. The amazing thing about this book is the reader association with the character is very intense, and like I said above, it is hard to diss-associate from her because the type of compulsions she has consumes both herself and the reader themselves. 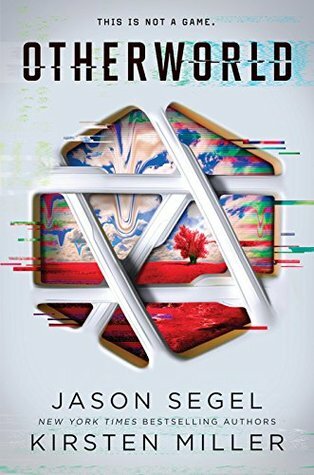 I wasn’t sure if this was just fiction, but when John Green included metal detectors in Aza’s school I was so shocked that it would come to the point where schools have to do that. I hope it doesn’t actually happen in real life, but the sad reality of this word is, it probably does. What I really appreciated about this book was the lack of labels on Aza’s ‘condition’. It made it harder for me to say what the book was about but then I realised that I didn’t need to state her condition to provide an accurate description of the book and it made me think; we don’t need to have labels for people to be able to describe them or talk about them effectively. Spirals. Literally the whole premise of the book. The spirals are what made Aza’s condition so terrifying to both her and me as a reader. These spirals consumed her, and the way Green wrote it made the spirals also consume the reader. I am actually stunned by the magnificence of the way this book was so perfectly constructed and told in a way that simultaneously informed, entertained but did not put down people who relate to Aza. It was a wonderful book to read and though a short one, I couldn’t put it down even for a second. Easily making it into my 2018 top picks. BINGO! I found out why the book was given it’s name, and if you read it, the meaning is so sweet and beautiful, more so beacause of the relationship between Aza and her best friend,who no matter the struggles they face stuck by her till the end. For all the above reasons, I rate this book ★★★★★ (5/5 Stars). Ending this review with the end quote of the book “no-one ever says goodbye unless they want to see you again,” just seems so fitting. Pingback: A Late January Wrap-Up!